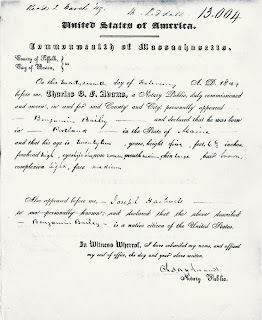 On the seventh day of February AD 1849 before me, Charles B. F. Adams, a Notary Public, duly commissioned and sworn, in and for said County and City personally appeared Benjamin Bailey and declared that he was born in Portland in the State of Maine and that his age is twenty two, years, height five, feet, 6 6/8 inches, forehead high, eyes light blue, nose roman, mouth medium, chin large, hair brown, complexion light, face medium. 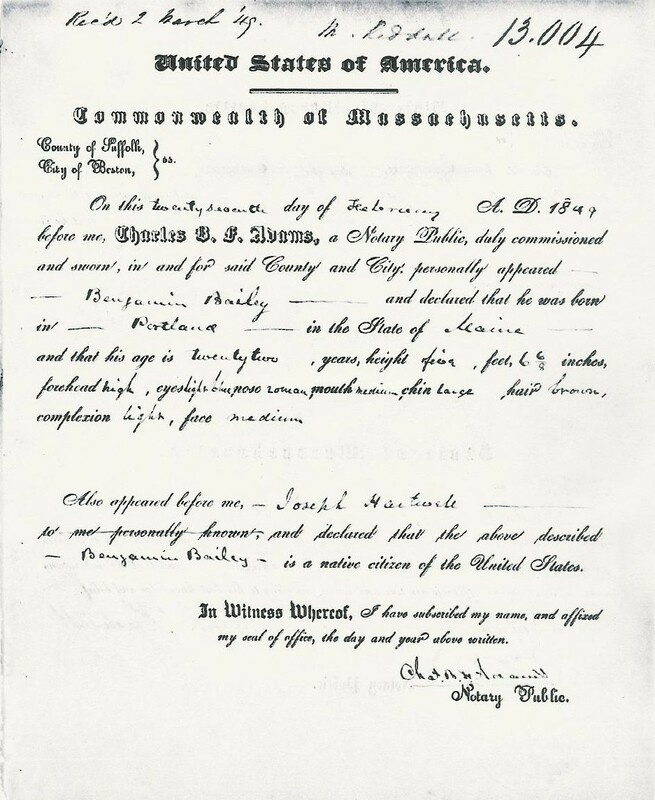 Also appeared before me, Joseph Hartwell and declared that the above described Benjamin Bailey is a native citizen of the United States. In Witness Whereof, I have subscribed my name, and affixed my seal of office, the day and year above written. Charles Adams Notary Public.